To the uninitiated it’s just another cheaply-bound ledger, unremarkable, a bookkeeping tool no different than those ones dumped haphazardly into the dollar bin at every generic office supply store in the world. It wouldn’t attract a second look. But to a pilot? No matter how dog-eared and scuffed it may get, an aviator’s logbook is invariably one of his or her most prized possessions, the decimal-based journal of a life lived in the clouds. I love logbooks. The weighty, aging pages, the archival scent of a long-stored document, every little stain on the parchment. Even the way a pilot scribbles on the paper, the penmanship, contributing flavor to the tale. For those with an imagination, it can whisk you away to adventures in the sky just as surely as any air craft. Who wouldn’t kill for a peek into the most immediate and personal flying notations of Chuck Yeager, Jimmy Doolittle, Bob Hoover, or Scott Crossfield? 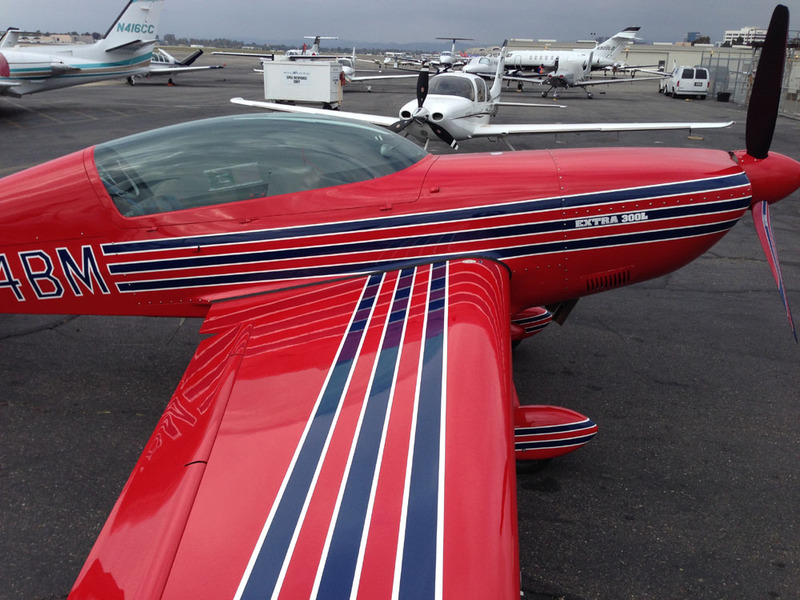 More than the chronicle of a pilot’s career, they document the history of aviation itself. One wonders what will become of these relics when decimal is overwhelmed by binary. Like an aviation Guttenburg Bible, physical logbooks are already becoming a rare commodity, their raw data now residing, in truly ironic/hipster fashion, within the “Cloud”. No random pen marks generated out of excitement from that incredible flight, no fading from exposure to the sun, no aging whatsoever. Just perfect, uninspiring, character-free characters. A pilot logbook from the first World War, circa 1917. Even the handwriting tells a story. I’ve got an electronic logbook. Oh so convenient for the incessant flood of insurance renewal requests and time-in-type queries posited to a professional who flits from this airplane to that one. The ease of transmittal, the freedom from data loss! It’s neat, expedient, a mathematically flawless miracle. A pilot like myself, raised on computers, one who takes to them with the greatest of ease in the cockpit, ought to love it. That’s why I keep one on paper as well. And though it displays few of the characteristics that make great logbooks worth venerating, it has the unique virtue of being mine. Every page brings back a memory: a bumpy day under the LAX localizer keeping the world safe for democracy from the Medfly, success in the aerobatic box, or an open-door sunset flight down the California coastline with my wife in an 80-year-old friend. Yet in this venerated document, there exists one quirky column which lacks appreciation and respect even among pilots: the one marked “solo”. Every logbook on the market has a space for this data, yet virtually no one uses it. Reserved exclusively for flights when no other person is aboard the aircraft, a tally of solo flying hours is not legally required for anything beyond primary training. 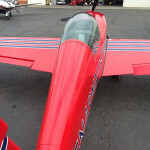 Once the requisite solo hours are achieved, no other pilot, employer, insurance agent, FAA inspector, NTSB investigator, friend or foe will ever inquire about it again. It might as well not even exist. “How much solo time have you got?” It sounds preposterous to even say it. But I’ve kept track of my solo time since day one. Flying alone is magical, in many ways the purest form of aviating. Every pilot gets that feeling the moment their sensai departs the aircraft for the very first time, but I love it for the same reason I enjoy scuba diving: you’re in your own world, ensconced in a place where no one can bother you. There’s nobody to teach, soothe, impress, or transport. No questions to answer, no one to be responsible for. Toss in VFR and you’re a cowboy riding that trusty steed off into the sunset like the pioneers of old. Want to go somewhere? Then go! Your destiny is open, no limits beyond a little airspace and the occasional need to refuel. Sixteen years on in my flying career and it’s still like that every time I’m alone in an aircraft. Flying the Gulfstream is always a two-pilot affair, so I relish every available opportunity to go aloft on my own. It’s one of the reasons having an airplane is important to me: I can take wing whenever I want. As they saying goes, it’s cheaper than a therapist (although to be honest, whoever said that probably never added up the total cost of ownership). 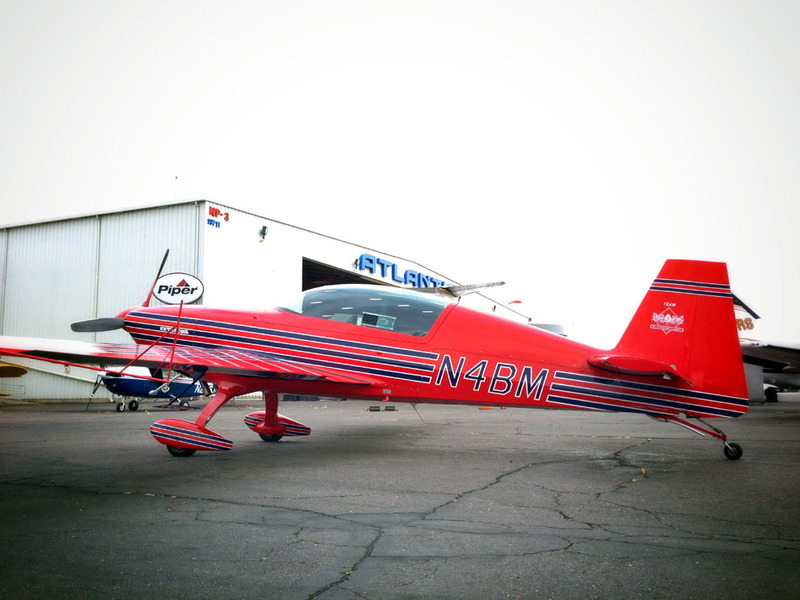 Last week I was asked to ferry an Extra 300L from Reno/Stead to John Wayne Airport for the new owner. Solo flying? I’m in! I had airlined up to the Biggest Little City in the World the previous day and was racing a cold front off the California coast which was forecast to bring rain and snow to the Sierras in the afternoon. 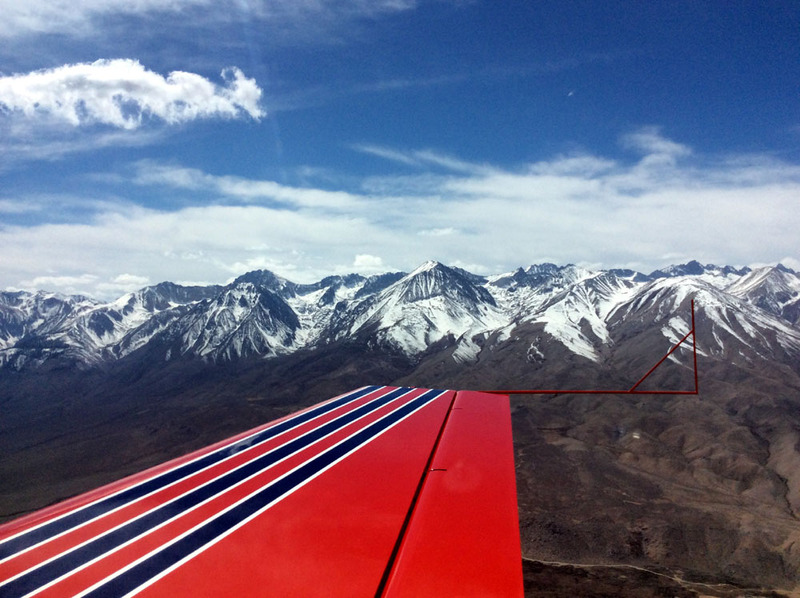 With weather blowing in from the west, the low-altitude route through California’s Central Valley wasn’t going to be available the next day, so this trip was what we call a Sierra Special: down the high terrain east of the Sierras and through the Owens Valley. The scenery is beautiful, but this area demands respect. More that one pilot has entered the valley and not left it one piece. Owens is one of those places that reminds you Mother Nature can overpower any man-made conveyance, even one with the incredible strength of an Extra. Upon arriving at Stead, I learned that the aircraft’s oil pan had been replaced recently, but since the plane had been sold, it hadn’t been test flown. Liability, you know. 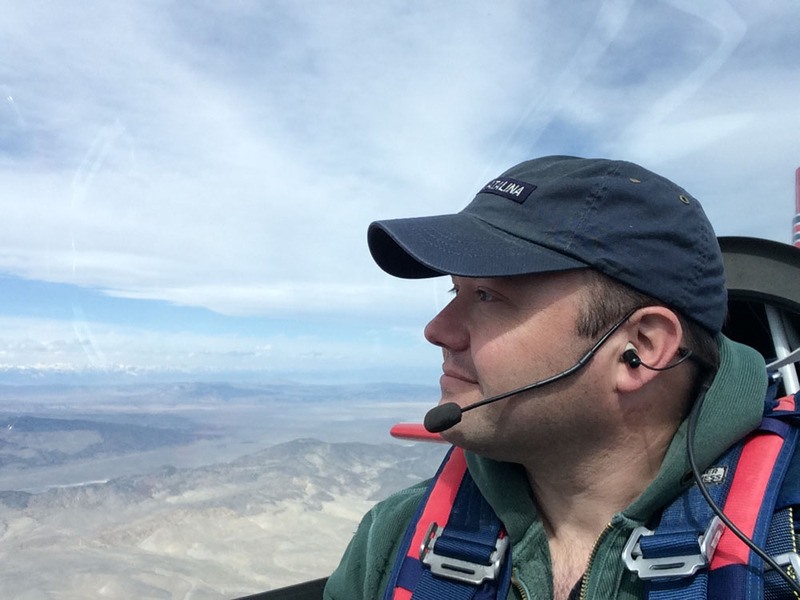 Well there was no way I’d take a single-engine airplane over some of the country’s most rugged terrain without a thorough test flight and leak check, so what better excuse for a few high powered laps around the patch? 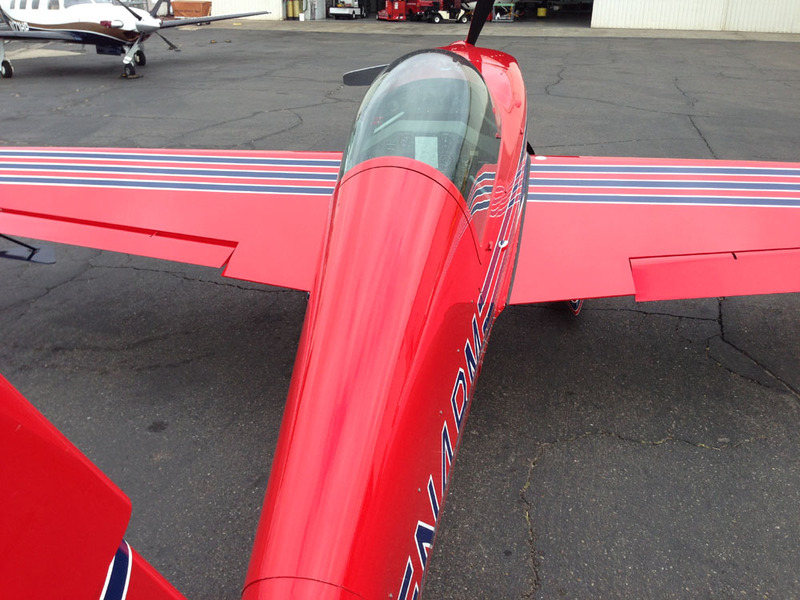 Stead is home to the world-famous Reno Air Races. 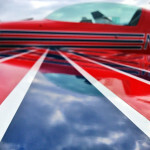 The field was deserted this weekday morning, but I imagined the Unlimited warbirds zooming around the pylons at 500 mph. I can see how it could become addictive. By the time a local mechanic pronounced the Extra leak-free it was eleven o’clock and the winds were already kicking up, so I topped off the fuel, carefully secured my miniscule travel bag and a second parachute in the front seat, and blasted off for a solo adventure. The Extra is as beautiful as it is capable. The wing is completely smooth. And what an escapade it was! 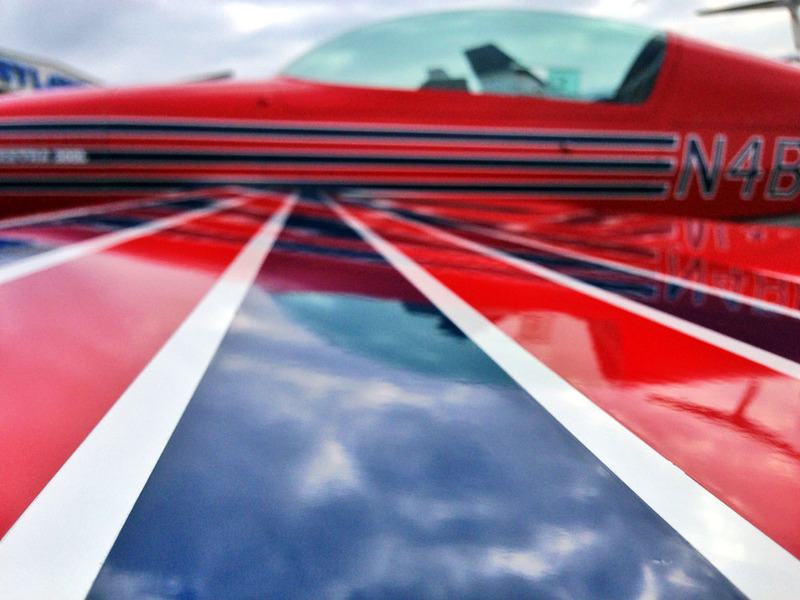 The airplane was flawless, but weather threw a few curves my way. Turbulence? Oh yeah. Plenty of that. 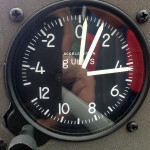 The G-meter hit +4.5, and that wasn’t from aerobatics. It was cold, too — about -11 degrees Celsius at 11,500 feet, from which altitude I was still looking up at the mountains. I couldn’t have been more than 30 minutes out of Stead when it became clear my haute couture was inadequate for the frigid temperatures. Not enough to present a serious safety-of-flight issue, but certainly uncomfortable. I kept looking for opportunities to fly lower, but much of the journey was marked by significant up- and downdrafts, ones even the Extra couldn’t outclimb. Cold or not, the smart choice is to fly high. Just past Mt. 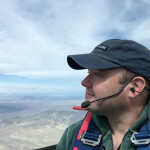 Whitney, the wind flowing over the mountains pushed me down to 7,000 feet MSL (3,000 AGL) while bumping the plane around so much that I whacked my noggin on the canopy several times. When an Extra 300 pilot feels compelled to slow the aircraft to maneuvering speed, you know the turbulence is bad. Nevertheless, the trip was fun. 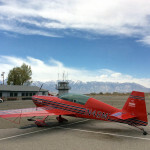 Those 360 degree views of the snow-capped Sierras inspired a few barrel rolls once I was south of Bishop and clear of V381, and the weather providing several opportunities for crosswind landings and a bit of reasonable scud-running (2,000′) through an L.A. basin covered with thick stratus. The adventure was another worthy memory for my paper logbook, and one I took particular pleasure in adding to the “solo” column. 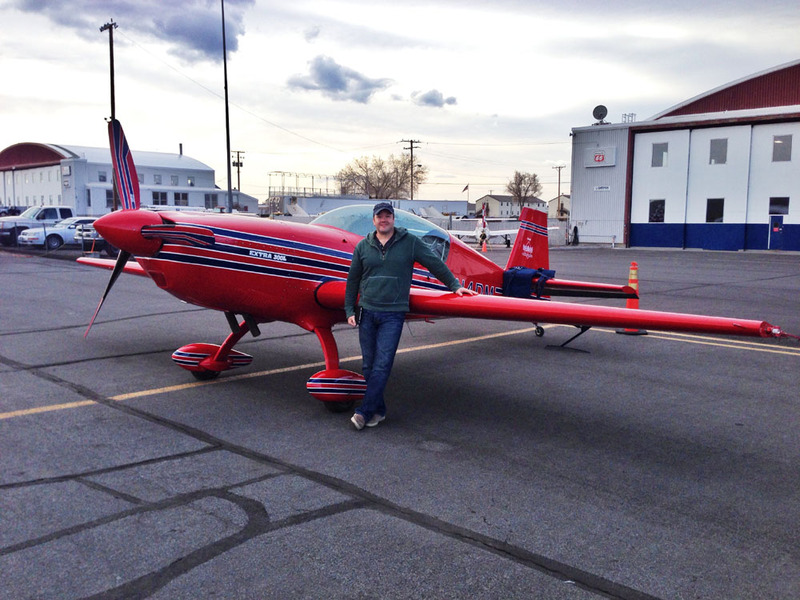 That’s not from aerobatics, it’s from turbulence in the Owens Valley. Between the air leaking in around the canopy and the -11C temps at 11,500 feet, it was freezing up there. The scenery provided a welcome distraction from the cold. The Sierra Nevada mountains. I’m at 11,500 feet MSL and still looking UP at them. 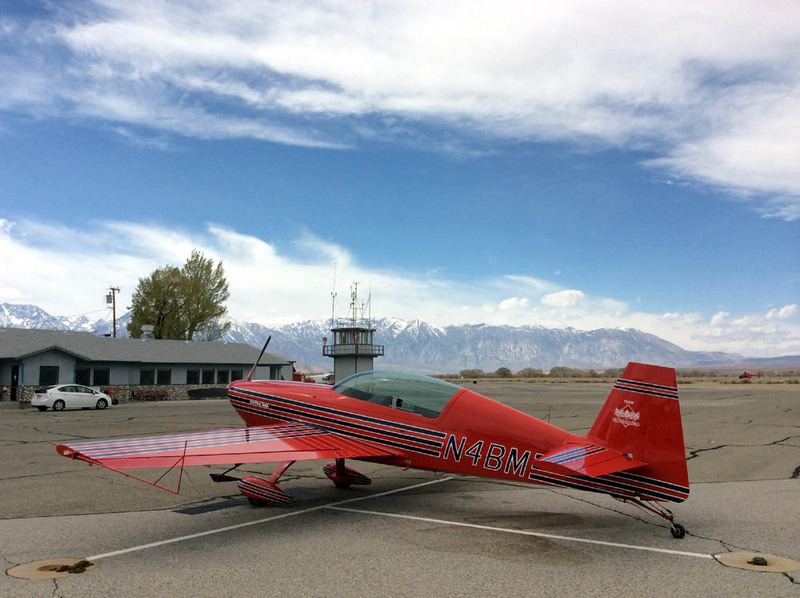 A quick stop in Bishop to refuel, check weather in the L.A. basin (still socked in), and warm up a bit. From the attention the Extra attracted, I don’t think they see too many of them in this neck of the woods. I’m a big fan of red paint schemes. I’d imagine this one would show well in competition. Look at the width of those ailerons. If you haven’t flown an Extra, you’re missing out on something very special. What a ride! I can imagine that had you not been in an Extra that would have been a bad day to make that sort mountain transit – in thrust we trust. Oh, and the carbon fiber and steel doesn’t hurt either. Solo is indeed a great luxury and as you said, particularly for someone who makes a living in a two-crew environment. Great read, as always my friend! Thanks! Truth be told, the Va speed reduction was probably more for own comfort than any risk to the airplane’s structure. If you have to run into turbulence, a 10g airframe is probably the one to do it in. Beautiful aircraft and great post! 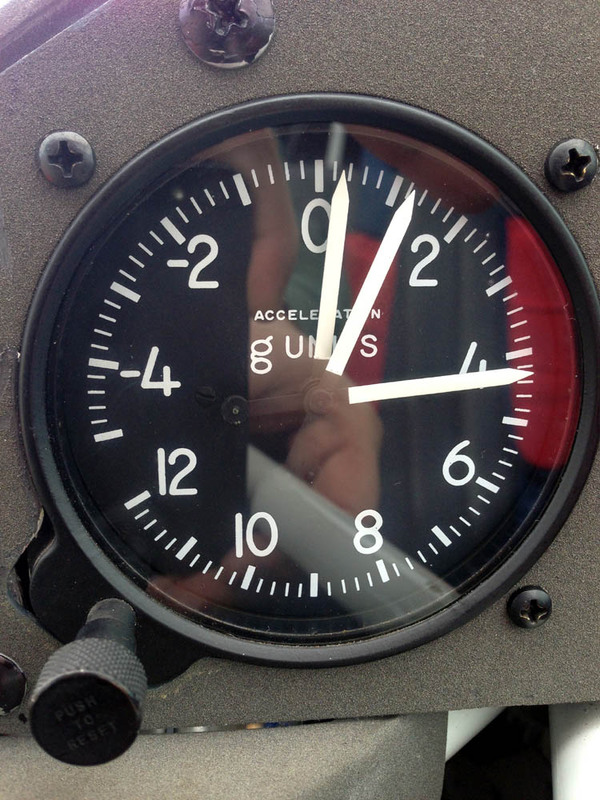 4.5 on the g-meter in turbulence is some serious chop! Nice work. I’d love to get me an Extra 300 (or anything with wings and a propeller really) and stretch my legs. Thanks for the inspiration! You should do it, Rob! An F-22 guy used to roll rates of more than 400 degrees per second would feel right at home in an EA-300. In fact, that one is for sale if you’re interested… I think it’s listed for $215k. Ron, thanks for bringing us along on this cool solo run through the Owens Valley! This was beautifully written, as always. On a slightly tangential point, I’m a big fan of paper logbooks, too (though, like you, I also use a computerized one). One thing that you can do with a paper logbook that does not translate well to software: whenever I take someone flying for the first time, I ask them to write a little something in my logbook for that flight. These notes range from simple signatures, to bible verses, to whimsical statements (my brother-in-law’s “yay, no death!” is a personal favorite). My daughter “signed” the logbook after her first time in the front seat once she was old enough to write her own name. There’s a “merci beaucoup” from a French college student whom I took for her first light aircraft flight on, of all days, Bastille Day. The personalities that come through from varied comments written by different hands gives my logbook a unique character that is not so readily digitized in a glorified spreadsheet. Yes, score one for the paper logbook! And would you believe I do the very same thing? Haven’t been in the habit as much lately, partly because my Jeppesen-made logbook is so much physically larger than the little ASA model I used to carry in my flight bag, so the current log tends to stay at home. But I’ve got all sorts of funny comments in there. My first passenger was a lunch trip to Catalina Island, and his comment was “How about that salad! ?” After all these years I’ve forgotten the joke, so now the comment he penned has become it’s own bit of humor. Another advantage of a paper logbook: it’s much easier to handle signatures, endorsements, etc. In fact, you can put photographs, stickers, or other mementos of your journey wherever you want. It’s tangible. I do believe it, Ron. 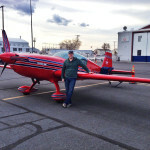 I borrowed the practice from my mentor, who had me write in his logbook the day I received my first light airplane ride from him in a Citabria. “Tangible”…that’s it exactly. There’s also something about seeing the comments written in someone’s own hand that conveys personality in ways that photographs don’t. Not to mention the fact that actual handwritten documents are, in general, becoming more and more rare. Photographs are the exact opposite. Everyone’s got a high-resolution camera in their pocket these days. Perhaps a hundred years from now that will be the most astonishing thing about it. “So this is what handwriting looked like!”, they’ll say. You make me regret having abandoned my paper logbook nearly 20 years ago now (favoring the Company’s dry printouts; not much solo in an A320). As I ease back into GA for the fun of it, time to revamp the ol’ tradition–with pen and logbook! One point that the photos from your flight make: as we edge away from the traditional logbook, documenting via other means (i.e. photos and videos) can tell a thousand words. We can now quite easily to share some semblance of the magic to our earthbound audience. Excellent point, Eric. In fact, a blog is a way of “logging” one’s adventures with photos and text, sort of a non-numeric amalgam of the best paper and electronic logbooks have to offer. It’s difficult to imagine any traditional log entry being as impactful as, say, the videos you’ve crafted! My total solo time is 1,009.7 hours. Seems too low, doesn’t it? I should get out to the airport — I know a J-3 Cub that needs some exercise! 1,500 hours, 347 of them solo, still quite a few every year. I did one flight from NYC back to LA solo, which is a good stretch of solitude in a DA40, but I wouldn’t give up a moment of it. In the evening, on a final leg into Missouri before dinner, ATC said they were too busy for flight following (couldn’t have been, I was the only one out there talking to them), and I glided along for a couple hours even *more* alone and I understood why there were pilots who don’t dial up ATC the moment they are in the air. The Extra flight sounds fantastic. I hope you follow Abington Welch on Facebook, because she’s been ferrying planes across the Pacific and it’s the ultimate solo. That Missouri experience, it’s kind of what we got into flying for in the first place isn’t it? I’m not on Facebook as much these days, but I think I am friends with or following Welch. Ferrying a single across thousands of miles of ocean really IS the ultimate solo! Amelia Rose Earhart is getting ready to go around the world in a single engine Pilatus PC-12, but that’s not going to be a solo trip. Ron, I have to tell you when I saw the photo of your logbook, I smiled. The guy next to me gave me a funny look, but oh well. I love that you keep one and the memories of mine flooded back. I stopped filling one out, but only from the flying I do….Electronics seem appropriate for the electronic plane. But when I take the blue skies on my solo journey, I will keep a logbook again. I have a friend who not only kept her logbook through the years, but she took pictures of everyone she flew with and added them to the pages. Hers was a true journal with photos and adventure. But also to remind her who everyone was, so when she flew with them again she would remember. I also love those photos you took of your journey. Simply beautiful. The plane. The mountains. And especially the look on your face. Well done! Thanks Karlene. And you’re right, and electric log is apropos for an electric jet! The photo idea? I love that. Imagine the slightly rumpled photos tucked into various pages of the logbook, like a scrap book almost. Maybe an occasional receipt from a memorable $100 hamburger, or a thank you note someone sent after you took them up. What a perfect place to store them! But after reading this post and all the comments, I’m absolutely going to start making it more! Thanks for the inspiration! AND – I’m going to pass that tradition on to my students. LOVE THIS IDEA! Right on. 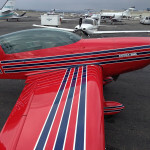 I have this theory that aviation often attracts the creative types, just the sort of folks who might really enjoy making their logbook something unique! Must admit, though, I’m not the first to come up with this idea. 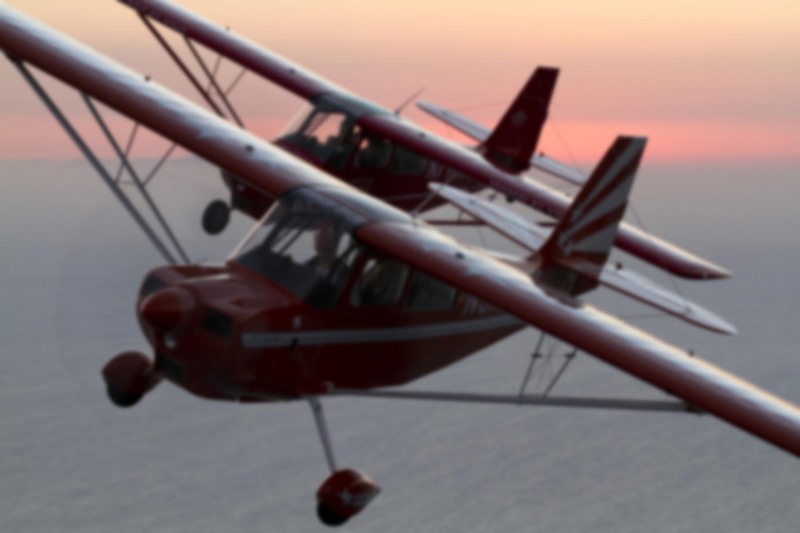 The DPE at Sunrise Aviation wrote an article about it a long time ago for Private Pilot (or was it Plane & Pilot?) magazine. They framed it for the wall in one of the classrooms and I used to see it all the time, wondering how many pilots filled their logbooks with photos and other memorabilia. I used to run up and down the Owens, Panemint and Saline Valleys. New them like the back of my hand. thanks for taking me back down Owens, its been a while. I agree on the log book, we generally are way to sterile. Memories are lost when the words are too few. Bet you’ve got some stories from the valley-flying days, Chip! You see all sorts of weird stuff out there, from dry lake beds in neon colors to random military aircraft. On this last trip I crossed paths with a C-5 Galaxy that ATC was referring to as “Sidewinder”. He came over the mountains and dropped into the China Lake area with a pretty respectable deck angle, almost a tactical-style approach. Neat to see. Thanks for a nice read. I wanted to comment on logbooks a bit more. 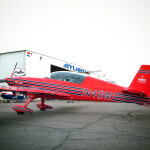 I’m a student pilot (helicopter) who has taken a rather strong interest in aviation in general. My family noticed this and gave me both of my grandfathers’ logbooks as inheritance. They only logged a few hours each, but opening them up was a step into history and a way for me to appriciate the things they did. I had no idea both of them flew… and it was back in the ’40’s! Those logbooks (along with my own) are some of my prize possessions. What a wonderful keepsake those must be. And they’ll be even moreso as the generations go by. Your logbook will be just as treasured, I’m sure. I’m amazed at how many friends and family either used to fly, or have a parent who once did. It’s neat, but also kind of sad that those who “used to” seem to far outnumber those who “still do”. Ron, the banner photograph is incredible! 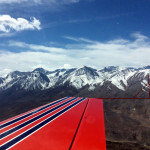 I loved this post so much because of my love of the Owens Valley (www.owensrivergirl.com). If that banner pic is yours, I’d love to use it on my website! Cheers, Kristine Zeigler, Priv Pilot and Conservationist. Hi Kristine, unfortunately the photo isn’t mine. It was sent to me by a fellow pilot, who got it from someone or somewhere else. But I agree it’s a lovely photo!